Screencasting from your DAW can be very useful. The finished results can be used as tutorials, walk-throughs, detailed demos of your work and many other things. Usually a screen cast will consist of real time capture of your system display, possibly mixed with the system sounds and a narration track of some kind. This can all be done with a good amount of planning and a large amount of editing but that is very time consuming. 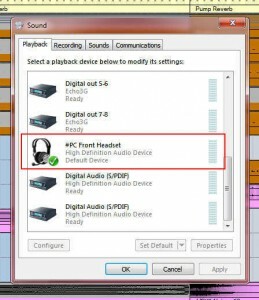 It is much quicker (although maybe a little more prone to mistakes – but that’s another story), if you record your sound playing back from Cubase or Nuendo, capture your movements around the project on screen and simultaneously record your computer’s headset microphone as narration. Then you can edit the two audio streams along with the video screen captures together in Camtasia. Sadly, in Windows this is not a totally simple process. 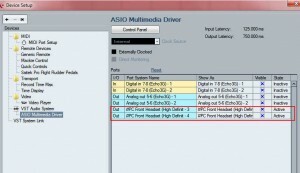 There may well be other more efficient ways to accomplish this and certainly if you have a hardware mixer or a more glamorous ASIO card then that’s great. This method is how I do it with the limited amount of resources that I have. Here’s a way to do it. In this walk-through I am presuming you have a built in sound deivce on your PC (other than your highly expensive ASIO sound device). In my case I am using my front panel headset which I use for Skype and so on. This can be a bit of long-winded process as Cubase doesn’t seem like it when we make changes. Just be patient, it will work. 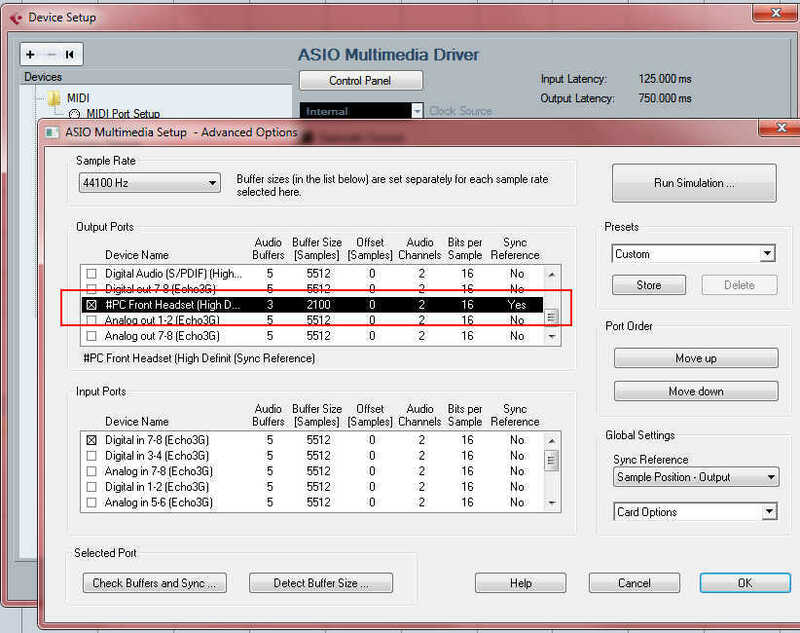 Make sure you have NOT selected Release ASIO Driver when Application is in Background. Open the Control Panel and go to Advanced Options. You will see a new Window (This is the area that Cubase doesn’t like us messing with). At this point you can also lower the Audio Buffers and Sample Buffer Sizes – Don’t go too far! 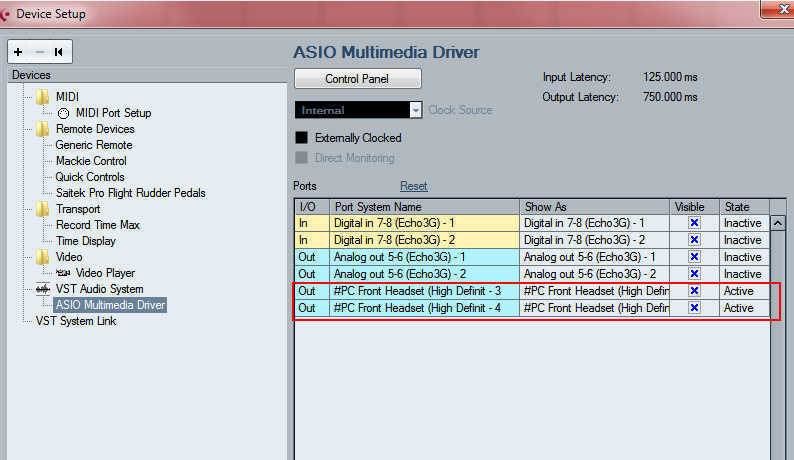 Go to your ASIO Multimedia Driver again and make sure your sound device is selected as an Output. 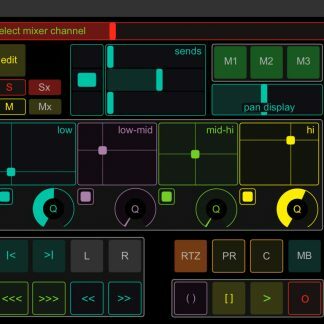 Go to VST Connections and make sure your device is set as outputs in the Outputs area. 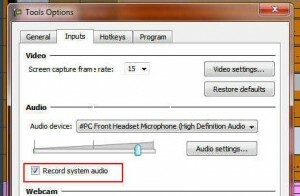 Open the Windows Sounds Panel – (Right click on the speaker icon on your system tray and select Sounds). Select Playback. 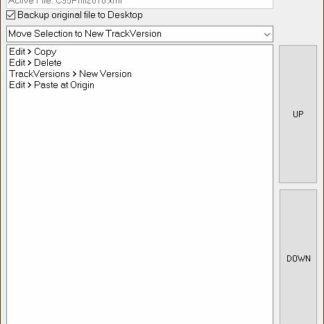 You should now be able to play back Cubase and hear it through your computer’s built-in sound device (not your ASIO device) – In my case the headset that is plugged in to the front of the PC. 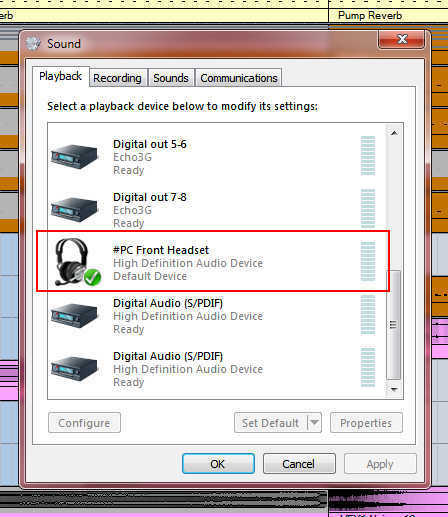 Make sure audio is turned on – You can also test the level of your headset mic here. Now you should be able to start playback from Cubase – Then start Camtasia (or the other way around). And Camtasia will record everything. 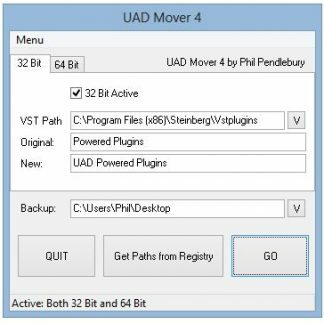 Cubase controls may seem a bit sluggish. So allow yourself some lead-in time. There are various reasons for this but I won’t go into that now. Looking at Camtasia’s metering – You will not see the system audio being recorded. You will hear it (obviously). But when the recording is finished and dragged into Camtasia for editing, the audio will appear as two separate streams (Your Cubase project audio and your headset mic narration), which can be controlled in the mixer as individual items. 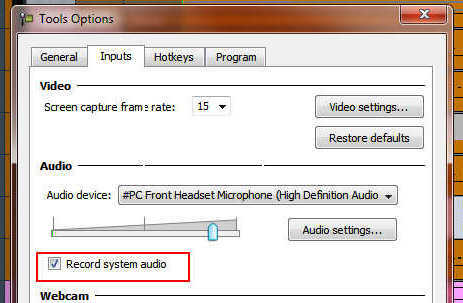 Any other system sounds will be recorded – So turn off mouse clicks and any other bleeps and dings from Windows! 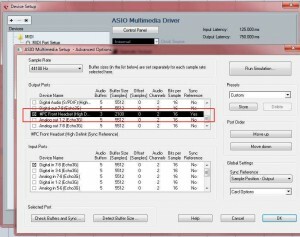 There may well be other more efficient ways to accomplish this and certainly if you have a hardware mixer or a more glamorous ASIO card then that’s great. This method is how I do it with the limited amount of resources that I have.